Painfully honest… where am I stuck? One area where I’ve made some incremental progress on is in my studio clean-up and organization, however, I’m still stuck to a certain degree with this. Most times, I find it difficult to get into my studio to work. In the past, I frequently have had it so disorganized and messy in my studio and my dyeing room that I can’t work or I just don’t want to go in. I have so many things I’d like to do that I’m overwhelmed. I sometimes feel as though I should finish projects I’ve already started. I don’t know whether to consider it a blessing or not, but I have enough space in my home to spread out… so my sewing gets moved out of my studio to our rec-room and the dyeing can also end up there. Anyone else struggle with being overwhelmed with their stuff and their space? I’m also somewhat stuck with not being certain how much I should be attempting to show, how much time to devote to just increasing technical competence, how much time just creating for my own artistic pleasure versus trying to fit into a show theme, or whether my work as CQA (The Contemporary QuiltArt Association‘s Exhibitions co-chair will actually serve my artistic career. I’m not sure whether taking a break from showing will serve me, however. I think having a full artist résumé looks good to those interested in your art work. Another area in which I’m struggling is in my definition as an artist. While I’m comfortable with the definition of “fiber artist”, I’m unsure whether I should still focus on making quilts or whether I should or am moving beyond them. This is a big dilemma for me. Do I stop doing “quilt” art? If so, does that mean that I’ve moved beyond CQA (which has become a rather big part of my life at this point.) 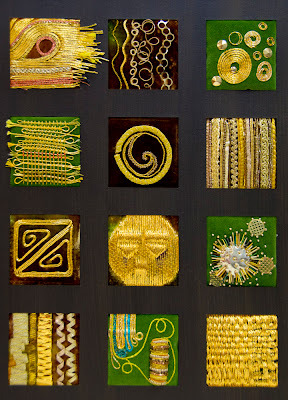 I know I love doing embroidery, but does it have even less potential for artistic recognition as art quilts? If I focus on other areas than quilt art, where would I show? I am feeling like I’m in the process of moving on to the next level in my art. I’ve increased my technical competence over the last year. 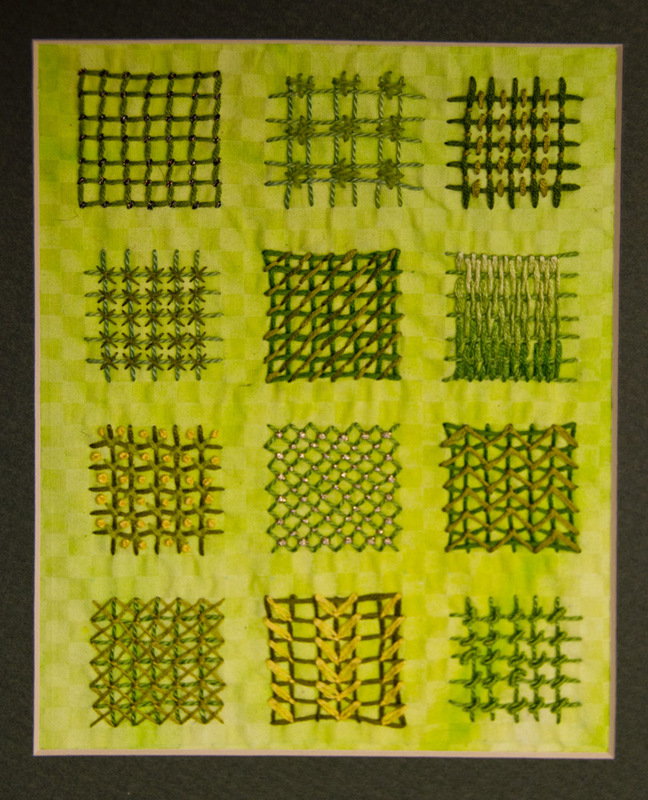 Specifically, I’m much more skilled in machine freehand quilting as well as dyeing. I’ve gained a lot of knowledge through my working on the CQA Exhibitions. I have a good strong understanding of color. I have a strong work ethic and desire to be successful. 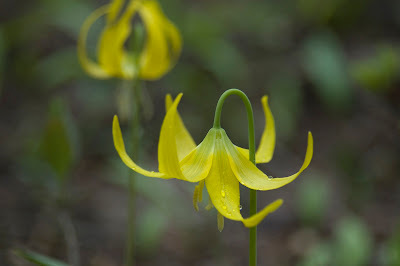 This helps me fit in time although I have a lot of demands for my attention… husband, two teen boys, work, CQA exhibitions, SDA (Surface Design Association) steering committee and small group leader in WA state, and numerous hobbies and passions beyond my fiber art. I’m very excited to have been able to work with Gail Harker this year and to be starting the Level 2 of her diploma program in May 2013. I’ve come to recognize that most classes and teachers don’t have much more to offer me, unless I need to learn a particular technique, since the majority of classes just teach you to quilt in that particular teacher’s style. 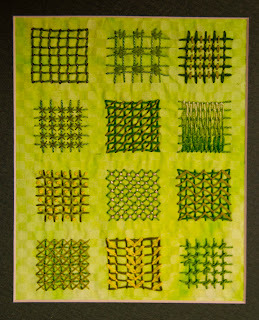 The difference with Gail is that she teaches techniques and design in such a way that all of her students end up developing their own style and their work looks uniquely their own. I think there are a lot of skills that I should develop, but I’m not particularly worried about them. I think as I continue to work with Gail, I will have lots of practice and increase competency over time. I do, however, feel I need to get more intentional about my design process. 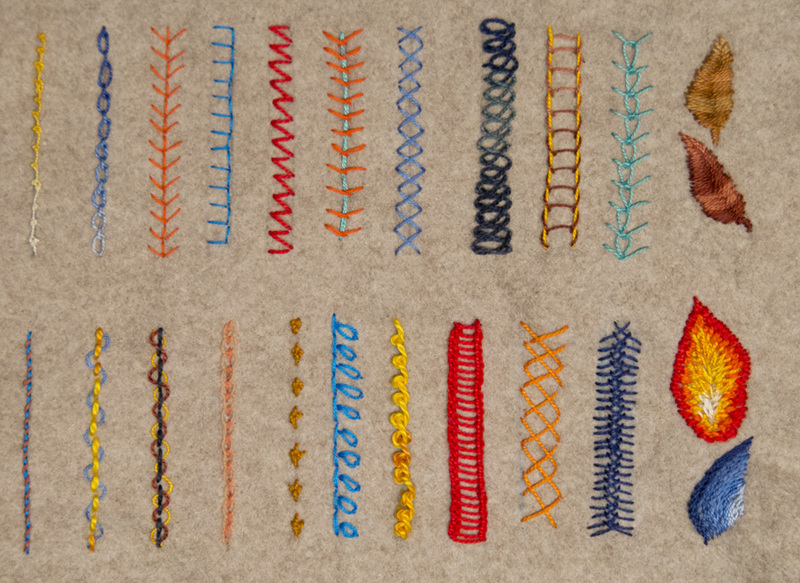 My understanding of design elements while strong, is not necessarily intuitive in my working in fiber art. I think I often am so driven to get going on a project that I don’t put the thought into it that could make an okay design into something with much more impact. Or I’m pushing to get something made for a deadline, so I don’t end up with as good an effort as if I were to just be making it for my personal artistic pleasure. 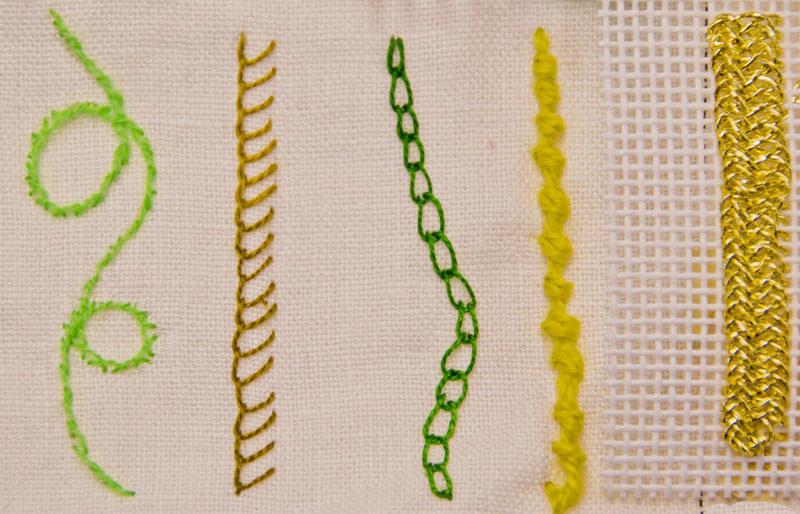 I’m currently working on hand embroidery techniques, which I’m enjoying and expect will work its way into my art pieces, rather than just a samples. Although I have a long list of potential topics I could make art about, as well as thousands of images for inspiration, I’m not particularly worried about my being too overwhelmed with possibilities I feel confident that my work with Gail will help me narrow my focus over time. I’m not 100% certain that I’ve covered everything in these categories yet, but will revisit and think about it more over the next few days, in case there is anything to add. I’ll look more at my specific successes over 2012 have been as well as my 2013 goals tomorrow. I’d love to hear about where you’re stuck, what’s working for you, and what you feel you need to develop this year in the comments section below! 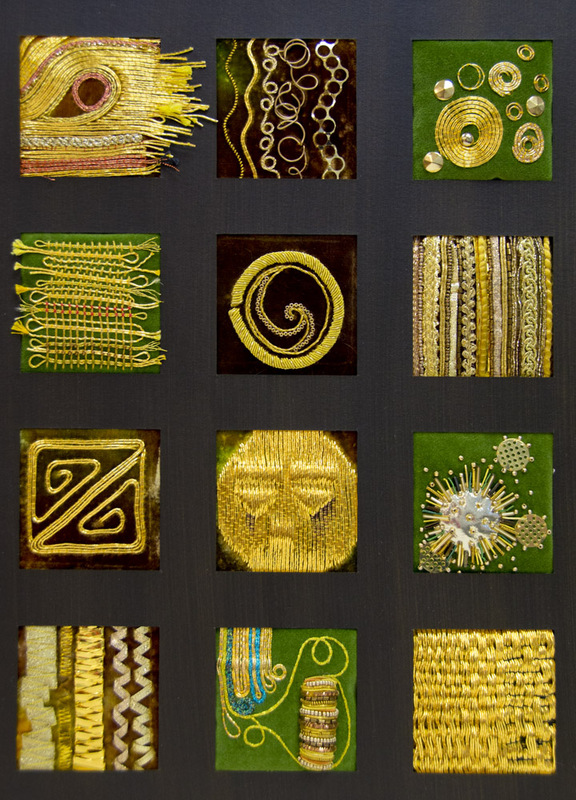 https://fiberartistjourney.com/wp-content/uploads/2017/12/Christina-Fairley-Erickson-575x156-300x81.png 0 0 Fiber Artist Journey https://fiberartistjourney.com/wp-content/uploads/2017/12/Christina-Fairley-Erickson-575x156-300x81.png Fiber Artist Journey2012-12-28 08:15:002012-12-28 08:15:00Painfully honest... where am I stuck? 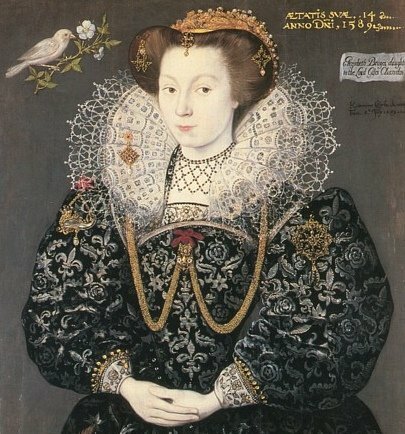 Elizabethan Embroidery, here I come! 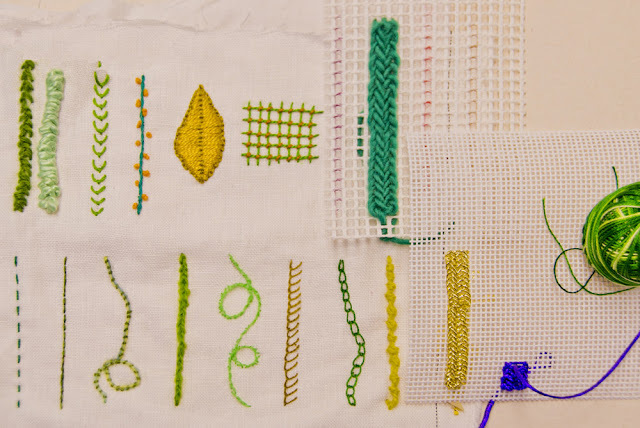 Preparations all complete, I’m off for two days to the Gail Harker Center for the Creative Arts to learn all about and practice Elizabethan Embroidery. I’ve really been looking forward to this, as I do all of the classes at Gail’s, partially because so much of my work is done by machine that it’s nice to slow down and have the relaxing experience of hand work, and also because I really enjoy history and costume. My love of costume goes way back to my childhood. Sure, like many little girls I enjoyed playing ‘dress-up’, but I guess I never really outgrew it! I remember my parents taking us to a medieval faire when I was quite young, and I’ve continued attending many of them throughout my life. When I was 14, I had my first job… working for a private seamstress doing alterations and clothing construction. I tore out and replaced so many jeans zippers with elaborate top-stitching, that I pretty much swore off of garments for some time (and still have somewhat of an aversion to sewing clothing.) When I started in college, I wanted to be a costume designer. Unfortunately, I wasn’t really ready for college at the time, so went off to work after one semester. I did love to dress quite wild, either in vintage clothing or items that could be considered costumes in my early 20’s. Then I started a small business making Rock ‘n Roller costumes for bands and fans, which I kept up for a short time. Through the vagrancy of life, my main chapter of costumery took a hiatus for some time, though I never lost my love of it. 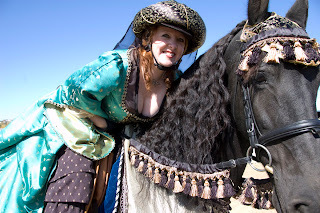 Then I had some fun in reviving this long-lost love of mine, when I had my beautiful Friesian mare and was showing her regularly. 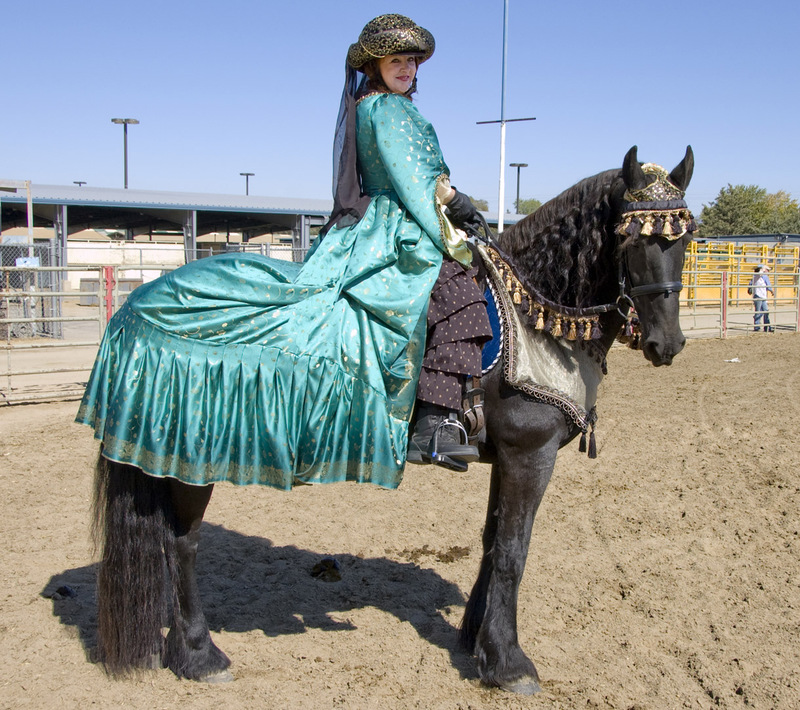 From time-to-time, there were costume classes at the horse shows, so we both got dressed up in Renaissance gear. Now, with my older son being a Viking aficionado and member of the Society for Creative Anachronism (SCA), I get to play at dress-up once again. 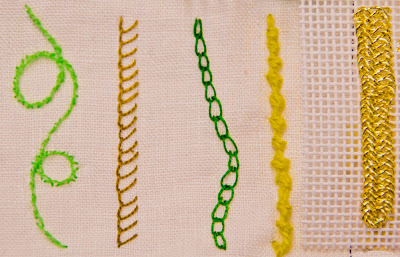 There’s even a chance that I can do demonstrations of the embroidery I’ll be learning at the “Ursulmas” event in January. I’m so lucky to have two sons who actually like doing things with their Mom! https://fiberartistjourney.com/wp-content/uploads/2017/12/Christina-Fairley-Erickson-575x156-300x81.png 0 0 Fiber Artist Journey https://fiberartistjourney.com/wp-content/uploads/2017/12/Christina-Fairley-Erickson-575x156-300x81.png Fiber Artist Journey2012-12-11 06:10:002012-12-11 06:10:00Elizabethan Embroidery, here I come!